Environmental Services, a combination of water and wastewater services strives to protect human health, the environment and public property in the City of Niagara Falls in compliance with legislation and regulations in an efficient, effective manner. Providing a reliable and dependable drinking water system delivering safe and clean potable water. Providing a well-functioning sanitary and storm sewer system removing all types of waste in an environmentally acceptable manner. A Quality Management System is a series of policies, procedures and documents that outline organizational structure, responsibilities and resources. Many industries currently have QMS in place, such as; food production, manufacturing and laboratory services. 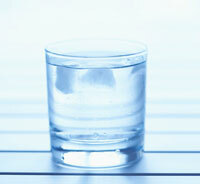 What does a QMS have to do with drinking water? Implementing a municipal drinking water licensing program was one of the recommendations made by Justice O'Connor in the Walkerton Water Inquiry. Implementing a Drinking Water Quality Management Standard is one piece of the new licensing program. What does this DWQMS mean for me? There will be no change for the consumer; you will still receive the same high quality, clean and safe water as always. What does the DWQMS require? The DWQMS also has to be submitted to the Ministry of the Environment for review and the Canadian General Standards Board for approval and accreditation. How can I view the Niagara Falls operational plan? Niagara Falls has received full accreditation from the Canadian General Standards Board. Copies of the operational are available at City Hall or the Municipal Service Centre.